• Please have trash bags or trash can ready for collection no later than 7 a.m.
• Refuse bags can be 3 black bags or 10 white tall kitchen bags. This fits in the container we provide or can be placed without a container. Bulky Items need to be scheduled in advance of your service day. 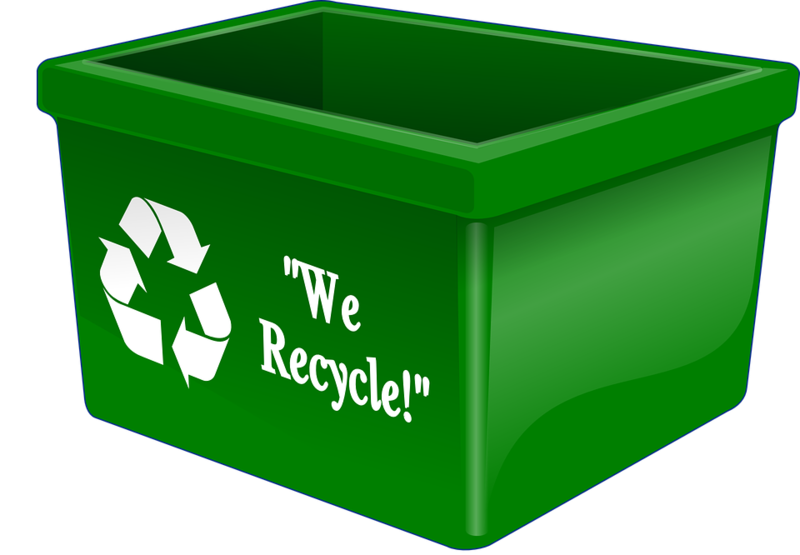 With recycling of cardboard boxes we ask to have the boxes broken down. dirt, rocks, bricks, concrete, tires, batteries, motor oil, cooking oil, waste generated by a private contractor, hazardous/toxic chemicals or material, construction material. Cardboard: CARDBOARD BOXES NEED TO BE BROKEN DOWN. Commonly Mistaken Unacceptable Material: STYROFOAM, GLASS, Wrapping Paper, Used Pizza Boxes, Coat Hangers, Paint and Solvent Containers, Light Bulbs, Mirrors, Windows, Dishes and Cups, Pyrex Pans, Wet or Soiled Paper, Paper Towels, Facial and Toilet Tissue, Disposable Plates and Cups.